Dr. Lynne Kitei is a person of accomplishment. She's been an actress (Florence in Raising Arizona), a bona fide medical doctor who has distinguished herself in the field of medical education. She was one of the prime witnesses in the Phoenix Lights incident of March 13, 1997 and wrote both a book, The Phoenix lights : a skeptic's discovery that we are not alone, and an award-winning The Phoenix Lights documentary, both available at her website. She's a frequent speaker on the Phoenix Lights sighting, and has done a great deal of research on the case. In fact, you really can't talk about the case without discussing her and her work. So what is she doing here? Well, it's a bit complex. First of all, the Phoenix Lights themselves weren't her first sighting. It all started in 1995 when she and her husband saw three orbs near their home. They were oval shaped and three to six feet in diameter. They were soothing and mesmerizing and Dr. Lynne felt there was an intelligent presence staring back. So when the Phoenix Lights happened a couple of years later, Dr. Lynne felt that she brought them, that they were there because of her. She says witnesses felt "real time and long term transformations of consciousness" and that "mass consciousness of Phoenix" shifted as a result. In fact, people reported telepathic contact with the space beings who told them they had nothing to fear and that they meant no harm. As a result of all this Dr. Lynne quit her job and basically enlisted in the Disclosure Movement. She was a featured speaker in Steven Greer's Contact: Countdown to Transformation, a "a special conference under the stars to celebrate and make ET contact." She has also joined up with Rebecca Hardcastle, an expert in "exoconsciousness," which is is "dedicated to exploring the extraterrestrial dimensions of human consciousness that link us directly to the cosmos and its inhabitants. Exoconsciousness is committed to preparation for peaceful co-existence and communication with extraterrestrial communities." and Terry Mansfield, a "private ambassador for peace" who is co-founder of the Arizona Department of Peace Campaign. All three women were recently knighted into the Sovereign Medical Order of the Knights Hospitaller of St. John of Jerusalem, so they are properly addressed as "Dames" just like Agatha Christie. The three have a website called PL3; it's the lights and a whole lot more, where they are advocating a National Department of Extraterrestrial Alliances. One thing's for certain, though: Shirley MacLaine loves these dames. 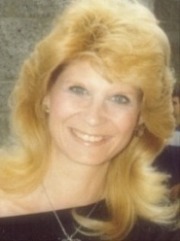 Dr. Lynne appeared as a guest on The Paracast on February 25, 2007.